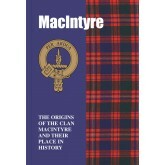 Settled from earliest times in territories that included parts of Breadalbane, Glen Orchy and Glen Noe on the shores of Loch Etive, the MacIntyres take their proud name from the Gaelic Mac an-tSaoir, meaning ‘Son of the Carpenter’. They first arrived at Loch Etive at some point in the fourteenth century, and many legends attach themselves to their presence there – including one in which a spectral being known as the Spirit of Cruachan had directed them to the fertile shores of .. The north west of Sutherland was for centuries the main territory of the Mackays, although they were also to be found in Argyll, Kintyre and much further south west in Galloway. With the motto ‘A strong hand’, the main seat of the clan chief was the House of Tongue, on the eastern shore of the Kyle of Tongue, while this clan renowned for its martial skills also held the forbidding strongholds of Castle Borve and Castle Varrich. 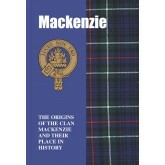 In common with many other clans, th..
Of ancient Celtic roots and with their name meaning ‘son of Kenneth’, the Mackenzies trace a descent from a mid-thirteenth century ‘Kenneth’ whose many powerful roles included the governorship of Eilean Donan Castle and lordship over other families who lived in Kintail. This often brought them into conflict with his equally powerful relative William, Earl of Ross, who mounted an assault on Eilean Donan only for his men to be slaughtered. Known as ‘the children of.. 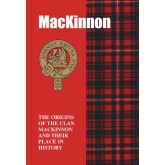 The origins of the MacKinnons are shrouded in mystery, but what is known with certainty is that they were one of the great clans of the Isles. They first rose to great prominence through their loyal support of Robert the Bruce, sheltering him on their territory on the island of Arran while he was on the run from his enemies and fighting at his side at the battle of Bannockburn in 1314. 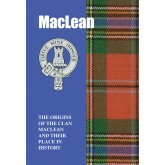 Their reward from the victorious king was the grant of the land of Strathaird,..
Of royal roots, the MacLachlans trace a descent from the Irish royal house of O’Neill which, in turn, traced a descent from the fifth century Irish king Niall of the Nine Hostages. The shores of Loch Fyne became the territory of the MacLachlans after their ancestors had crossed the sea from Ireland to the west coast of Scotland, and this is reflected in in the landscape through the place names Strathlachlan and Lachlan Bay. Allied to the Campbells of Argyll, they.. 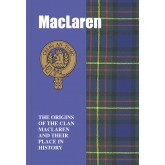 Believed to descend from an early sixth century son of Fergus MacErc, King of Ulster, who made the sea crossing from Ireland to Scotland’s west coast, those who would come to bear the Maclaurin, or Maclaren, name thrived for centuries in Balquhidder and Loch Earn in West Perthshire. Followers of the powerful Earls of Strathearn, they were frequently to be found with battle-axe and sword in hand in major battles that included Bannockburn in 1314 while, in 1513, they were among t..
Warriors at both sea and on land, the MacLeans claim a descent from the forbiddingly named Gilleathain na Tuaighe – Gillian of the Battleaxe – who displayed the martial ardour for which his clan was to become renowned when he fought valiantly at the battle of Largs in 1263 against a band of Norsemen. The islands of Mull, Tiree, Coll and Morven were all Maclean territories, while on the mainland they were also to be found in Knapdale. 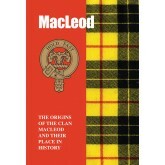 Many legends attach the..
With Galloway their main territory, but also to be found on the Western Isles and in Perthshire, bearers of the MacLellan name in all its spelling variations were present at pivotal events in the nation’s dramatic history. 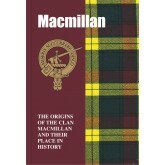 Recipients of high honours, they nevertheless often paid dearly for their allegiances and beliefs. In more peaceful times, Gene MacLellan was the singer and songwriter born in 1938 in Val-d’Or, Quebec. 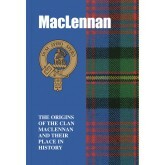 An inductee of the Canadian Country ..
Closely allied for centuries to the Mackenzies and the Macraes and also with possible family links to the Logans, the MacLennans take their name from MacGille Finnan, meaning ‘the son of the follower of St Finnan.’ With the motto of ‘While I breathe I hope’, their main territories were Wester Ross and Cromarty, while they were entrusted as custodians of the stronghold of Eilean Donan Castle, at the entrance to Loch Duich in Wester Ross. When not engaged in feudin..
A rich and heady brew of the blood of Norsemen and Celts runs through the veins of bearers of the proud name of MacLeod today. They are believed to descend from the thirteenth century Leod, son of Olaf, King of Man and the Northern Islands, and it was he who greatly expanded their territory from their original power base in the Shetlands. 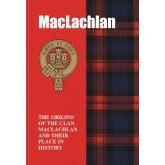 At the height of their fortunes the clan came to control vast swathes of territories that included Skye, Raasay, Harris, Lewis and Assynt..
‘I learn to succour the distressed’ is the motto of the MacMillans/Macmillans, and this is particularly apt in view of the ecclesiastical origin of their name, with the Gaelic form ‘MacMhaollein’, meaning ‘son of the bald or tonsured one’ – as in a priest. Knapdale, Lochaber and part of Galloway were their main territories and it was in Lochaber that they would occasionally draw the sword to feud with Clan Cameron of Lochiel, although in the main they were loyal followers of th..
Perthshire, particularly around the town of Killin, was the main domain of the MacNabs – but the jewel in the crown of their possessions was the small island of Inchbuie on the River Dochart, where their clan chiefs and kinsfolk rest for eternity. Descended from the princes of Ulster, the MacNabs also have a descent from the Abbots of St Fillan’s monastery, near Loch Earn – a diocese that was held by the family. 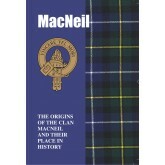 Known for their great stature and strength, it was ..
With their original homeland in Antrim, it is thought that the ancestors of the MacNeils made the sea crossing from Ireland to Argyll at some point in the fifth century and came to hold territory on Barra and, on the mainland, at Knapdale. Their subsequent history is one of constant feuding with not only rival clans and even among themselves, but also clashes with the authorities. 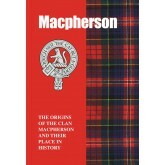 Matters came to a head in 1585 when the MacNeils of Knapdale joined in battle with ..
Clergymen of the old Celtic Church were not required to be celibate and could raise families, and this explains the Gaelic form of the name, ‘Mac a Phearson’, meaning ‘son of the parson.’ Badenoch was their main territory and, while some of the name were indeed clergymen, others were to be found on the battlefield. 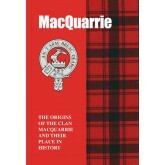 This was through their membership of the mighty confederation of clans known as Clan Chattan, while the Macphersons’ own clan chief was known as Macpherson of Cl..
Of royal race through their descent from a son of King Alpin, who reigned from 834 to 837, the MacQuarries were for centuries at the heart of the near anarchy that from time to time prevailed throughout the Western Highlands and Islands. Deriving their name from a Gaelic personal name meaning ‘noble’, or ‘proud’, their ancestral home is the island of Ulva, off the coast of Mull. 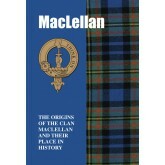 Loyal to the Crown in times of peril to the nation, they were ready to take up arms i..